A phone call about the Rowley Shoals changed everything for North Star Cruises general manager Peter Trembath. Here he recalls meeting Craig Howson and visiting the Rowley Shoals for the first time and, the dramatic impact that first visit had on his life. I can remember the precise moment when I caught my first glimpse of the coral. I knew in that instant that this was a place I wanted to be. From that day on I set about creating a life that would allow me to spend as much time as I could at the magnificent Rowley Shoals. 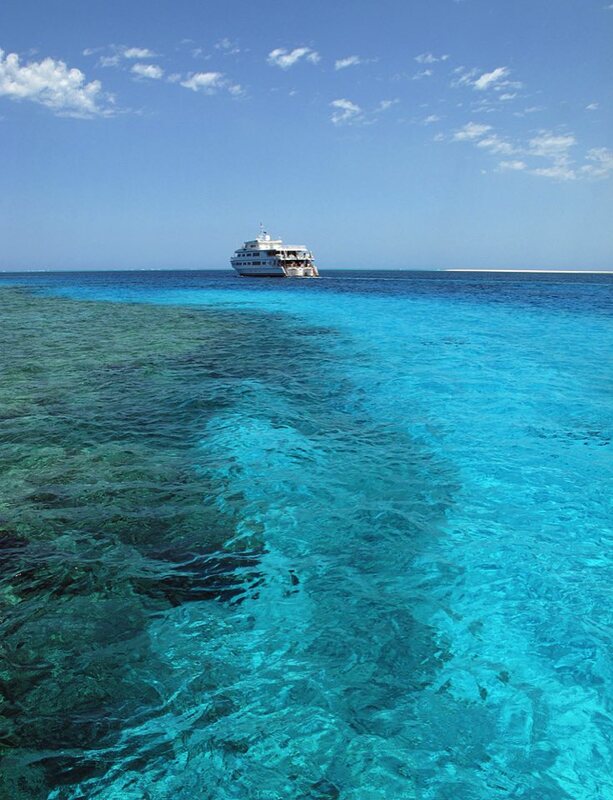 I had not even heard of the Rowley Shoals when I was first posted to Broome as a Fish and Wildlife Officer in 1988. Then one day I got a phone call from head office in Perth. 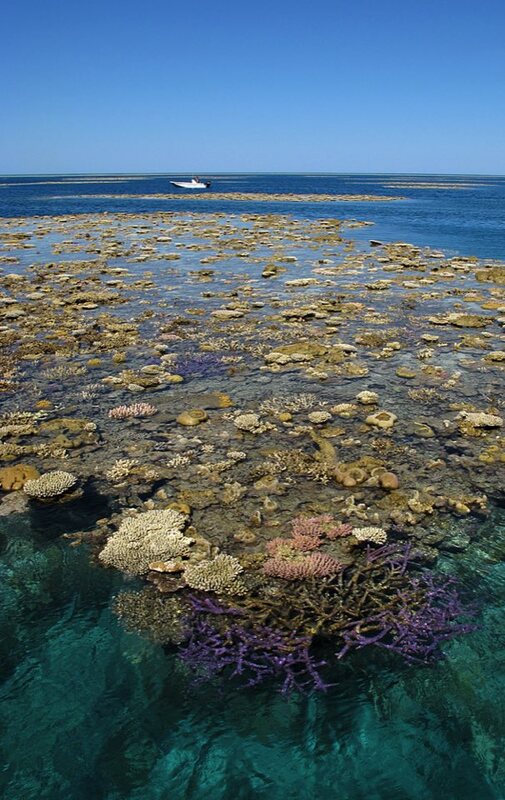 It was explained that the Rowley Shoals was an area of coral 300 kilometres off the coast of Broome and, that the area had just been granted marine park status. The creation of the marine park had caught quite a few people by surprise because, like me, they’d never heard of the place. The Rowley Shoals Marine Park had largely been created following work the West Australian Museum had done on the Lively – a whaling ship that was wrecked in 1810 on the Shoals' northernmost atoll, Mermaid Reef. In the process of researching the wreck the Museum divers were impressed by the quality of coral and the pristine nature of the atolls. So, they submitted a nature reserve recommendation and the state government subsequently decided to gazette the two southern atolls, Imperieuse and Clerke, as a marine park. And I was asked to visit the area and, to make some management recommendations. I’d only been in Broome a short while and I had not yet met Craig Howson but we had a mutual friend who had previously suggested that we should get together. I was aware that Craig operated a small charter boat and I obviously needed a boat to get out to the Rowley Shoals. So I phoned him and a short time later he turned-up at my office – with a huge jar of jelly beans! To this day I have no idea why he brought jelly beans to that meeting but I remember that we did eat quite a few and, we also came up with a plan to visit the Rowley Shoals. A few weeks later we met again on the Broome wharf and at 5pm we set out for the Shoals. On the way out Craig and I had a couple of rums and talked well into the early hours of the morning before I suggested that perhaps I should go to bed. I didn’t want to miss our arrival at the Shoals. I had to drag myself back onto the deck and I was probably looking a fair bit shabby after what seemed like not more than 10 minutes sleep. Craig was manoeuvring North Star into Clerke Reef and I, was totally blown-away by what I saw. At the time I was a relatively in-experienced scuba diver but I had seen the Great Barrier Reef so, I thought that I had at least an impression of what good coral should look like – but my bleary eyes were not prepared for what I saw that morning. The coral on the reef platform was so incredibly dense, the colours were nothing short of remarkable and all was on display in crystal clear water that was not more than knee deep. 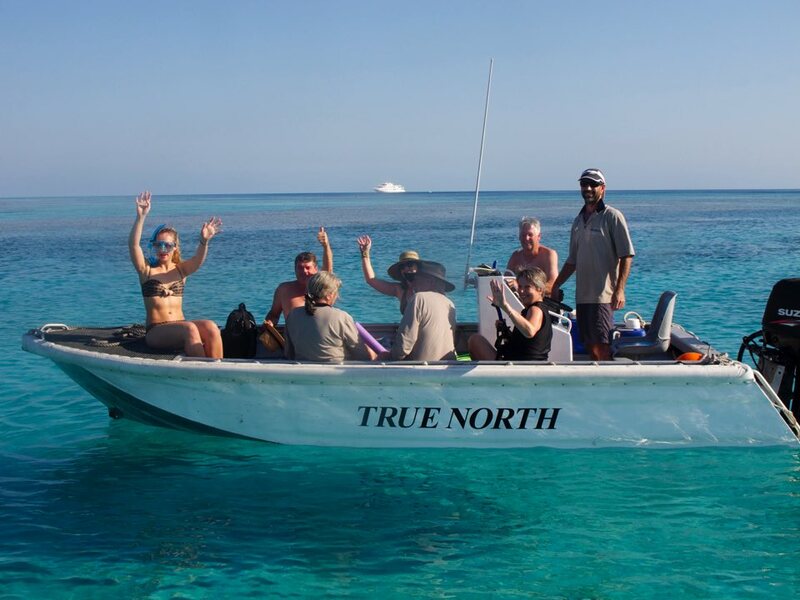 On either side of the boat parrot fish and others passed over the coral in clouds and ahead lay the unblemished white sands of Bedwell Island. And there was the channel – barely wide enough for the boat as it snaked its way into the lagoon. It was quite an introduction. And the days that followed were equally impressive. I quickly learned that the Rowleys covered more than 300 square kilometres. 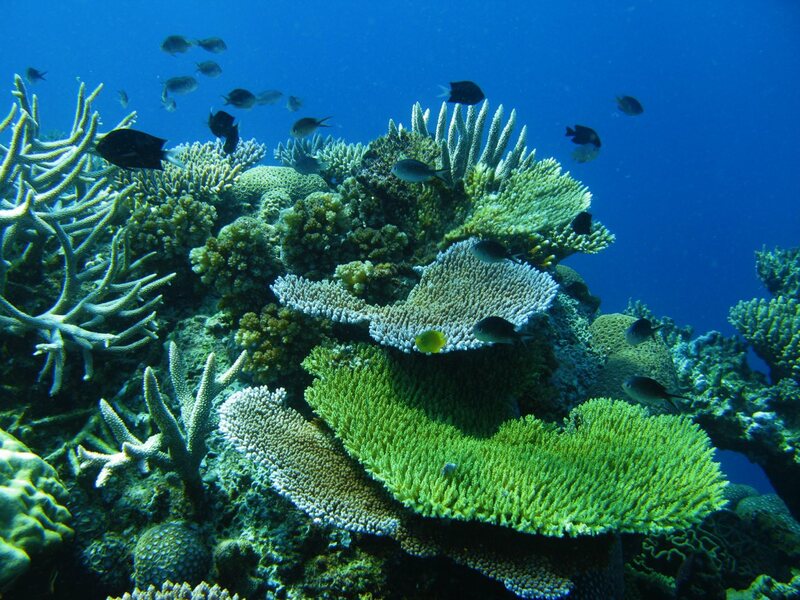 And that more than 650 species of fish and 250 species of coral were known to occur. And that a tidal range of more than 4 metres encouraged exaggerated growth as both soft and hard corals blossomed in the nutrient laden ebb and flow. All resplendent in an often 40 metre visibility and all wrapped in a comfortable 26 degree ambient water temperature. And, not another boat in sight! That was enough for me. I had some long service leave due – so I went back to the Barrier Reef and qualified as a dive master. Then I went back again and qualified as an instructor and then as an equipment technician. I chucked-in my fisheries and wildlife career and brought the dive store in Broome and, true to his word, pretty much every time Craig went to the Rowley Shoals, I went with him. In fact Craig and I started working together whenever his ops involved diving. Not only at the Rowleys but also down at Ningaloo where North Star was the first to offer live-aboard access to whale shark encounters. I looked after North Star’s divers and I also taught young divers going into the pearling industry, sold them all their gear and serviced it for them. It was a fun time – I met a lot of adventurous people. The pearling industry was especially good to me but over time I could see change coming – farming was reducing the industry’s reliance on drift diving and surface farms were replacing sub-surface farms – the long-running era of the ‘pearl diver’ was coming to an end. I think I had two weeks off and then I started working with Craig full time. That was 14 years ago. 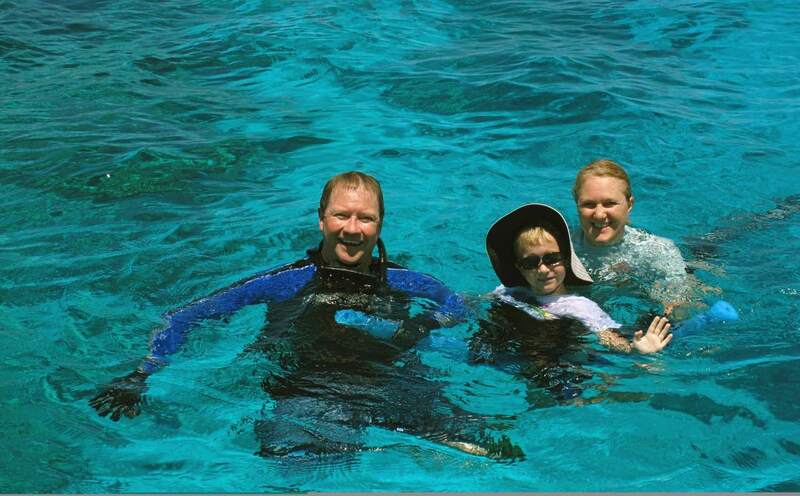 We have been doing things together since that first trip to the Rowley Shoals and continue to do so. We started diving up in PNG in 2005 and now it happens in Indonesia as well. But the Rowleys are still my favourite. Yes, the coral is spectacular and the fish life is amazing. You can spend the whole day in the water just wearing board shorts and the big tides consistently produce both thrilling diving and snorkelling. But the big ticket item is that for the most part, you don’t see another boat! Even today less than 300 people a year are fortunate enough to give testament to the brilliance of the Rowley Shoals. I haven’t dived everywhere there is to dive – but over the years we have taken a fair few people out to the Rowleys who reckon that they have and, I don’t recall a single one who was not totally blown away by the place. Just like I was, all those years ago! 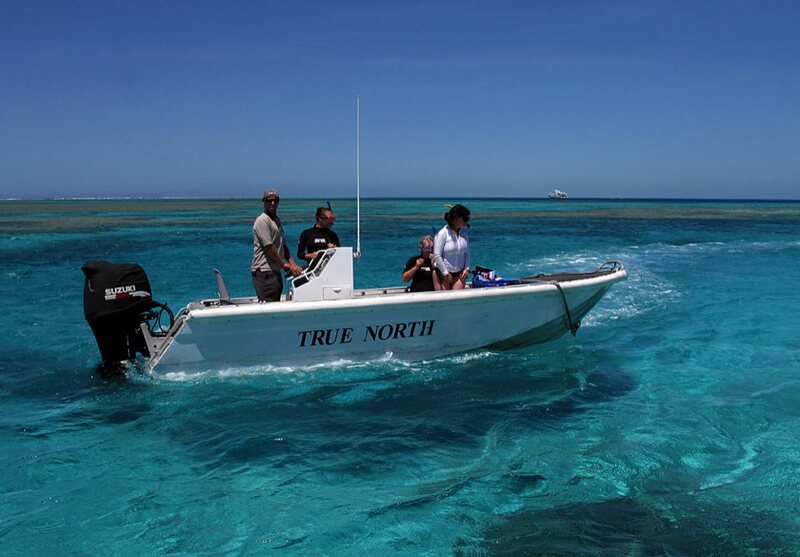 Peter and Vicki introducing Cameron to the Rowley Shoals – Cameron and his older brother Lachlan both learned to SCUBA dive amidst Rowley splendour!